You have been introduced to Youngevity by someone that is either concerned about your health or is trying to get you to join them in business and you have some questions about whether this may be the company for you with a product line that you can stand behind. Most will think that I am biased and cannot provide an unbiased review about Youngevity. I was never a representative for Youngevity; I was a representative for one of the companies that Youngevity has acquired over the years. That company name was Healing America, and I still use their products today. I use them because of the health benefits that I receive from them not because I was a former representative for Healing America. It is through Healing America that I first heard about Dr. Joel Wallach because every representative kit sold by Healing America had Dr. Wallach’s tape “Dead Doctor’s Don’t Lie’ in it. If you haven’t heard what Dr. Wallach has to say on this tape, I recommend you locate a copy of it and listen to his words and decide for yourself if there is any truth to what he has to say about the medical profession. Dr. Wallach started his medical career as a veterinarian and according to “Dead Doctor’s” he would speak with medical doctors and tell them how they had cured diseases in animals that human beings were suffering from, but because he was not a Medical Doctor, they did not listen to him. When the Journal of the American Medical Association would publish articles that would agree with what he had been telling the Medical Doctors, he would feel vindicated. After years of doing this he decided to become a Naturopathic Doctor and has become known for his research on the health benefits of selenium and other minerals. With over 400 products to choose from customers of Youngevity can find supplements for just about anything. Youngevity has made it a business of acquiring companies in the Health and Wellness Supplements Industry that are known to offer some of the most technologically advanced health and personal care products available. With so many products to choose from it could mean potential problems for Youngevity’s new representatives that may spend too much time trying to learn about the products instead of spending enough time learning about what really matters and that’s learning the business building skills and strategies that are going to grow your Youngevity Business and increase your income. Youngevity bases your ability to make money with their company on you replacing purchasing products that you currently purchase like vitamins, minerals, skin care, jewelry, and personal care items from your Youngevity product line versus from the drug store, grocery store or department store and finding five people that are willing to do the same. It’s a sound business practice and one that helped Amway become the company that it is today. Youngevity’s compensation plan offers you nine different ways to get paid including retail profits, unilevel commissions, infinity bonuses, quick start bonuses, and leadership bonuses to name a few. Youngevity appears to have all the ingredients that a network marketing company needs for its representative to become successful, but having sound leadership, great products, and a compensation plan will not ensure your success as a Youngevity Representative. To ensure your success as a new Youngevity Representative you need to position yourself as a leader in your company. There are millions of people online looking for an opportunity, but people don’t join opportunities, they join leaders. To set yourself apart from all the other Youngevity Reps you need to learn marketing skills that are going to help you generate leads and turn those leads into customers. You need a simple marketing system that is going to teach you how to use tools like Facebook, Twitter, article marketing, videos, and pay-per-click advertising to attract targeted and qualified leads instead of chasing your family and friends. Once you have learned these skills and strategies you can teach them to your new team members to help insure their success and increase your income. Click here to get plugged into the only system of its kind in the network marketing industry, and start positioning yourself as a Youngevity Leader! Youngevity is a legitimate network marketing company with a legitimate product line and compensation plan. Hopefully this Youngevity Review will help you make an educated decision about Youngevity, but ultimately your success with any network marketing company relies on you learning the skills and strategies that will help you develop as a leader in this industry. 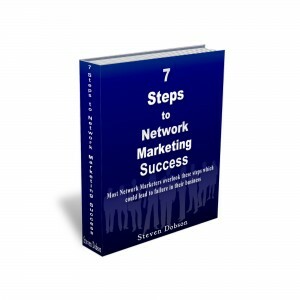 Has Your Network Marketing Product or Service Increased In Value? Hi there, just required you to know I he added your internet site to my Google bookmarks due to your layout. But seriously, I imagine your net web site has 1 in the freshest theme I? ?ve came across. It extremely helps make looking at your website significantly easier. You keep it up now, unedtrsand? Really good to know. Possessing examine this I believed it absolutely was extremely beneficial. I enjoy you taking some time and hard work to place this informative article collectively. I the moment once more locate myself investing strategy to considerably time the two looking at and commenting. But so what, it had been even now worthwhile! Youngevity Leaders Rarely Train On The 3 Basic Millionaire Fundamentals But I do! Youngevity is a well reknown network marketing industry that is very popular in international markets..
Next post: Is Your Affiliate Program Paying You Peanuts for Commissions?